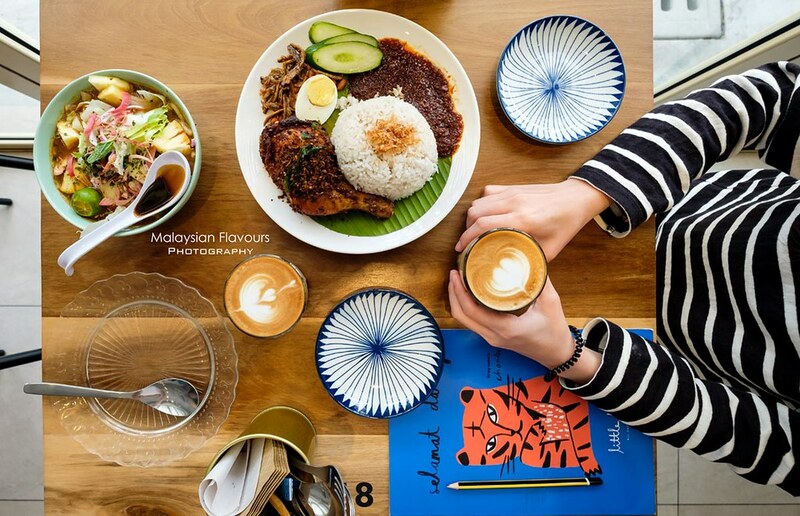 From Wondermilk Damansara Uptown to Rimba Rusa Sunway Giza and the latest Little Rimba TTDI, the team behind these establishments has been doing very well in creating different theme for each of their cafe, making them stand out uniquely from one another. 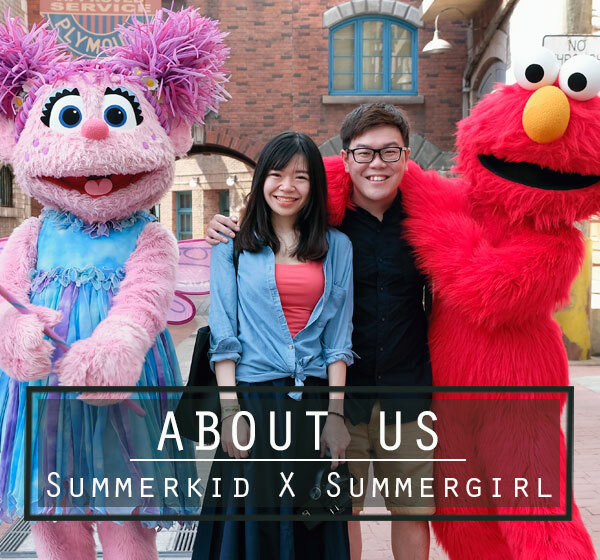 While Wondermilk takes pride on designer cakes & cupcakes, Rimba Rusa is well-noted for thier Insta-worthy interior, along with lovely brunch & breakfast selections. 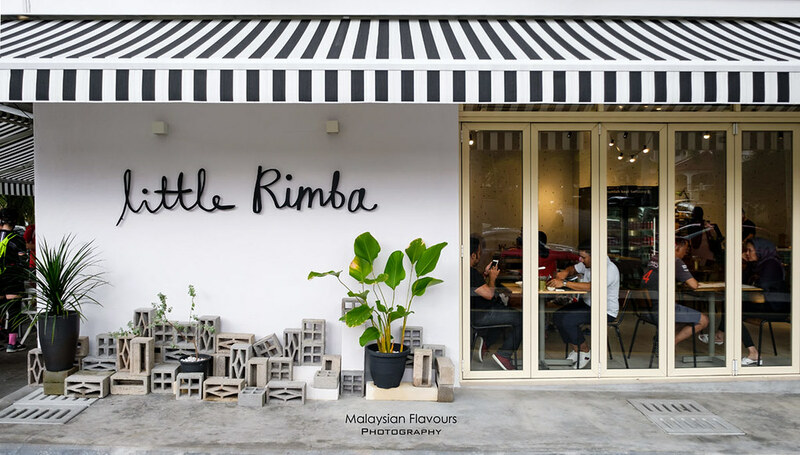 For Little Rimba, it gives a highlight on Malaysian favourites, complemented by a list of creative dishes that add fun twist to the menu. Popiah Goreng, Pengat Durian, Samosa Ayam with Pickled Onion, Cucur Ayam, Beef Aglio Olio, Primo Alfredo Pasta, Toasted Bagel with Egg & Streaky Beef, Nutella Stuffed French Toast with Butterscotch Syrup, Roti Boom with Kari Daging, Roast Chicken, Soto Ayam and more – Whether you are here for local or Western fusion delights, food in Little Rimba promises to please. A week in Melbourne makes us miss Nasi Lemak the most, despite the diverse cuisine options in the amazing city. Nasi Lemak in Little Rimba doesnt’t disappoint, putting together fragrant cococonut rice, sambal tumis, ikan bilis goreng, boiled egg and house special fried chicken. 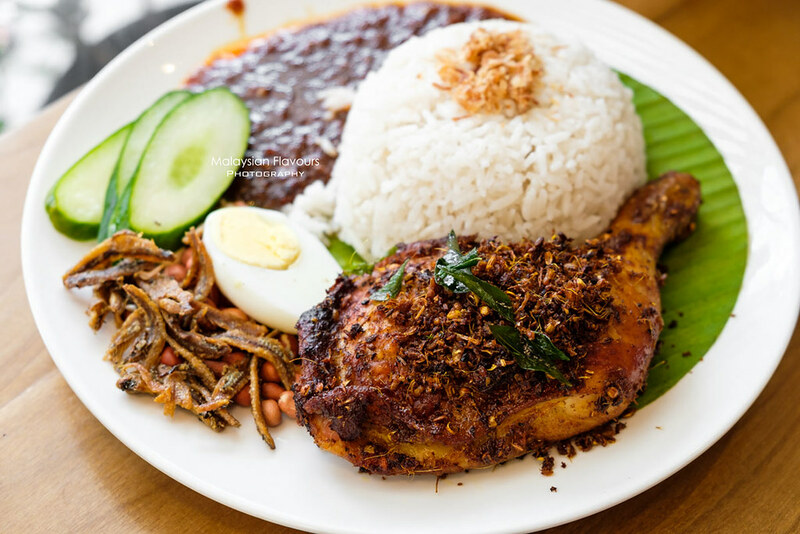 Delicious but if you asked us, Village Park nasi lemak still has a higher score. Lol. Thought Summergirl would have her favourite Stellar Nutella French Toast (RM14) but she ended up ordering Uncle’s Assam Laksa. A wise choice though. 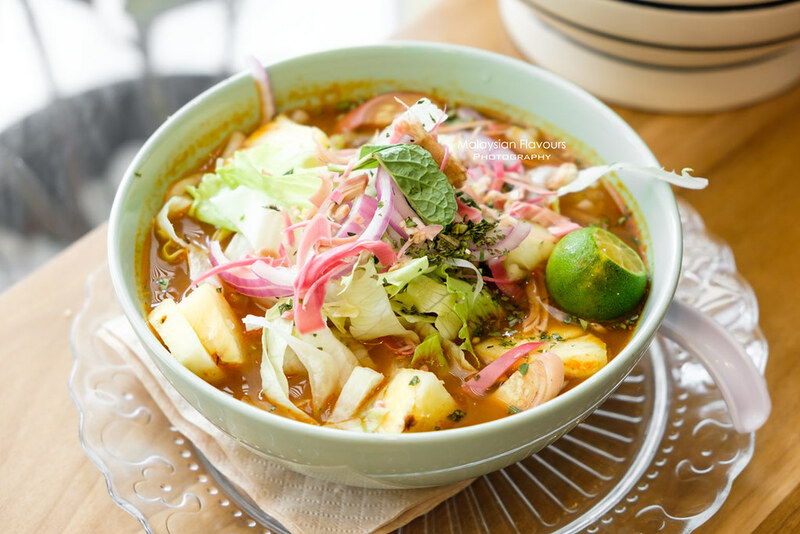 Flavourful fish-based broth, beautifully dressed over smooth laksa noodles, garnished with local vegetables and herbs. 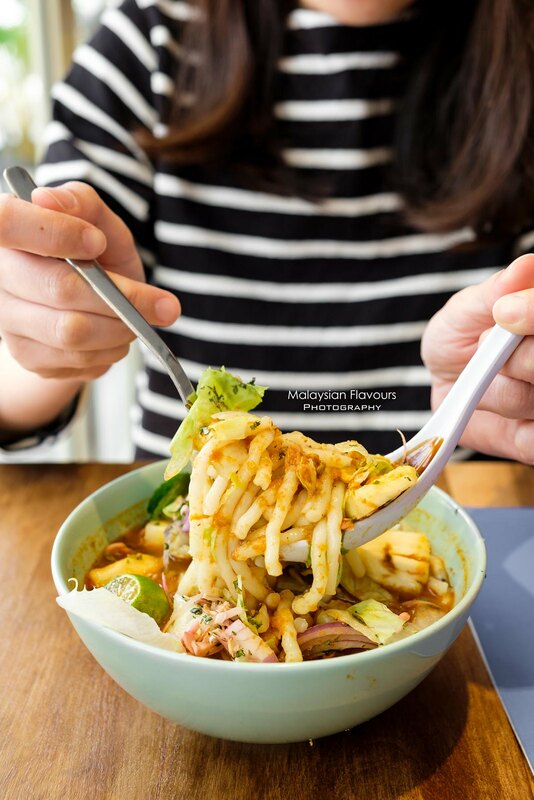 Get a spoonful of noodles, broth and toppings of pineapple, onion, chopped lettuce, etc., then have everything in one mouthful – best. Spicy and sourish but manageable. Weekend brunch is incomplete without a cup of coffee, whether Kopi peng or hot latte. 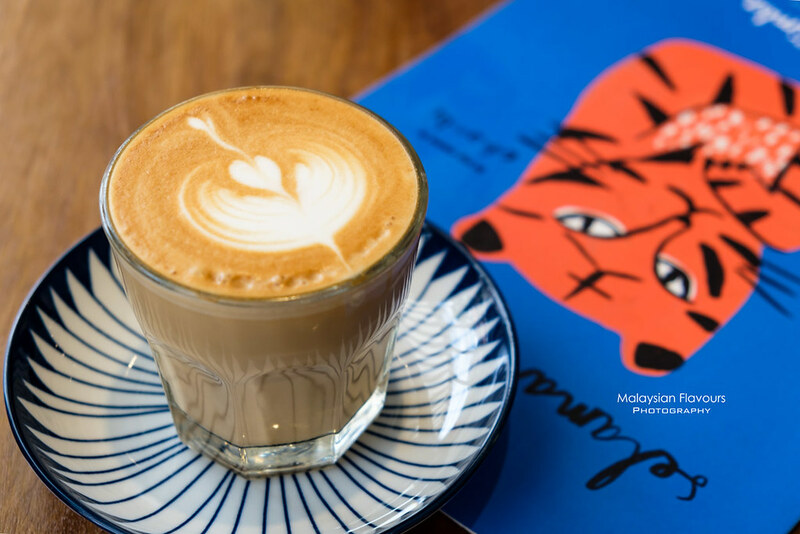 Little Rimba offers an option cappuccino, long black, flat white for your caffeine fix but other than that, there’s also beverages that both child and adult alike will love – milo dinasour, sirap bandung cincau, kedondong sour plum, limau assam boi-fren, horlicks, and more. 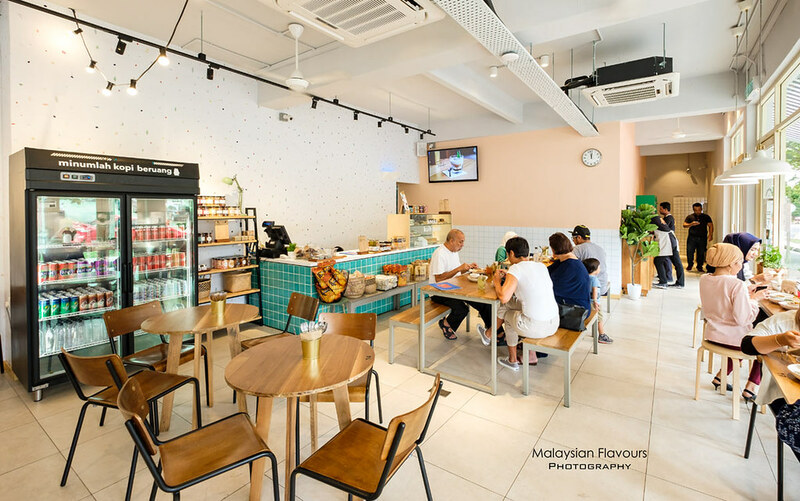 Overall review: A nice place to enjoy local favourites in modern cafe interior. Food price considered reasonable. It gets very pack during lunch hour but it didn’t take long for our food to arrive. 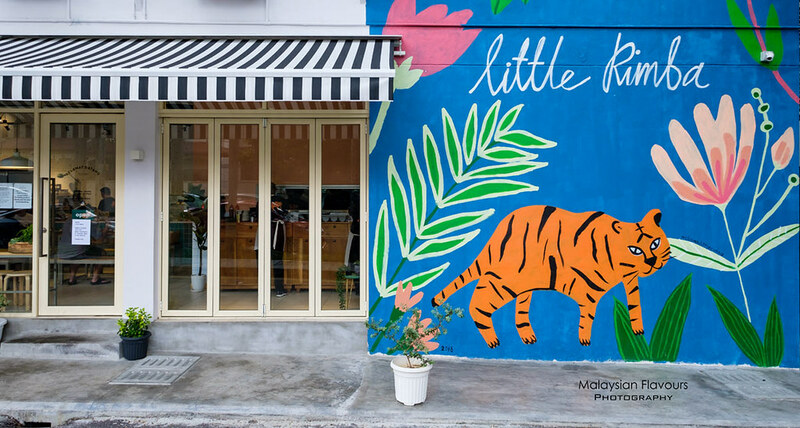 The part that we love most about Little Rimba, the shop front. Hehe.